Changing locks is fundamentally about protecting the safety of a residence and its inhabitants. However, changing locks is seen as a hassle, which is why many property managers fall behind on performing the task. It can also become expensive, with each lock replacement running about $150 when done correctly by a certified locksmith. As a property manager, you may have the best intentions with your key management process to minimize the risk of using mechanical keys, but fundamentally, a mechanical key is only as safe as its weakest link. The truth is that tenants, maintenance staff, outside vendors, prospective residents, and even owners all have the ability to make duplicate keys for friends, neighbors, or relatives who are considered to be trustworthy (or, unfortunately, who may knowingly have bad intentions). It might seem overkill to change the locks after a renter loses just one key, but it′s a small price to pay to guarantee peace of mind for the manager, the owner and the tenant. While it′s unlikely the lost key will end up in the wrong hands, in the off chance that it does, it could spell disaster for all. When you′re dealing with prospective renters, letting them know that you take this extra security measure seriously can be a differentiator that demonstrates your commitment to safety. In some states, changing locks between tenants might be a requirement, so you should look up the legality to be sure. Tenants might also want to exercise their right to privacy and change the locks themselves. Know, however, that this right is not absolute, and a landlord or property manager needs keys so they can make necessary repairs or investigate a suspected emergency such as a fire or flooding. Especially if you′ve just started using a new vendor or if you′ve had disagreements with one in the past, it′s important to recognize that vendors could have copies of your keys that you′re unaware of. When work is completed, hiring an independent locksmith to change your locks helps maintain a high degree of security. It′s also a good idea to be on-site to let vendors in and out of a building while you build a relationship with them instead of leaving a key in a lockbox and allowing all contractors to access it. According to statistics from the FBI, 73.2 percent of all burglaries are committed on residential properties. When a tenant moves into a property, unless the locks are brand-new, it′s impossible for them to know who has made copies over the years and can access the unit at any time. Just one safety mistake has the potential to result in break-ins, theft, and, in the worst-case scenario, the irreparable loss of human life. A great way for property managers to stay on top of security measures is by using smart home technologies, including smart locks and exterior cameras. Smart locks with access codes can log who enters a property and the time of entry, preventing landlords from having to have locks rekeyed for new tenants or vendors. Exterior cameras can record clips at unoccupied properties (as well as be an asset to tenants for self-monitored security when they move in). Ultimately, safety is one of the most critical considerations when renters are selecting their next home or choosing to remain in their current one. Tenants are fully justified in wanting to feel safe where they live, and a survey conducted by Schlage found that 63 percent of respondents expressed a willingness to move out of a rental home because of poor security measures. For property managers, safety isn′t just a detail — it′s a core part of the business. 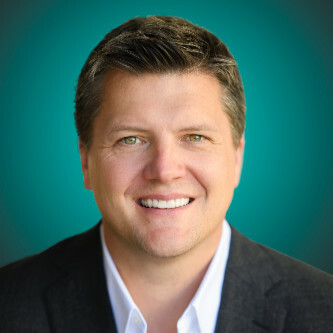 Sean Miller is president of PointCentral, a subsidiary of Alarm.com and the leader in smart home automation solutions for long-term and short-term rental properties. Outside of having a lifelong passion for technology, Mr. Miller has almost 10 years of professional experience with B2B and B2C IoT/Home Automation technology, having previously led global sales and business development for Wemo, Belkin′s home automation business unit, and launched Mobile Link, a cellular-based internet connectivity service for generators, at Generac Power Systems.